Update: A&P / Pathmark has filed for Chapter 11 Bankruptcy and is no longer in existence. The page is hosted for archive purpose. Under The Great Atlantic & Pacific Tea Company (A&P) name, Pathmark offers savings on fresh, high-quality products you want for your meals. They sell quality brands including America’s Choice, Great Atlantic Seafood Market, Live Better, etc. A&P has been around since 1885. With more than 300 hundred stores, A&P is one of the largest companies in their industry in the Northeast, yet they still offer a local market working with regional farmers, bakers, and manufacturers. Pathmark has a total of approximately 140 supermarkets. Their stores are located in New York, New Jersey, Pennsylvania, Connecticut, and Delaware. They strive to bring quality services to the population of the Northeast. This company characterizes itself as a worker-friendly environment, which strives for the wellness and self-worth of their employees. They are accessible to everyone with positive energy and team commitment. They are proud of the fact that they care about their employees. How old do you have to be to work at Pathmark? To work as a team member in one of their local stores you must be at least 18 years of age. However, you should ask human resources questions regarding age requirements for advanced level jobs in a management position, in their corporate headquarters, or in one of their pharmacies. Hours of operation vary in different locations; however, many stores are open 24 hours. Make sure to keep this in mind when applying for a store position as you may be asked to work a graveyard shift. Pathmark careers offer a wide variety of benefits for their associates. With a management position or job at their corporate headquarters, you will enjoy competitive pay, health benefits, paid vacations, 401k and pension plan, and comprehensive training programs. Salary and benefits for store positions should be discussed during the interview process. As all of their associates, employees at this level will have the opportunity to grow in the company, which will directly affect their salary. People who have worked for Pathmark have enjoyed working with their coworkers and helping customers. They also liked the relaxed environment and meeting new people everyday. Furthermore, they were happy with the balance between their work life and personal life. Many mentioned the employee discounts and benefits as one of the many great aspects of this job. Perhaps the main reason people enjoyed working for this company was due to the skills they acquired during their time there, which ranged from customer service to managerial skills. If you think you are right for one of their many positions available, fill out a Pathmark application and start your journey to success! This company offers their employees top-notch benefits with a great work environment. If you think you are right for a position with this great business and want to make a difference in your community, take a look at Pathmark jobs online. Go to their website to find a free application, or download application form now at the link below. Pathmark jobs will give you the opportunity to grow within the company with careers available in finance, accounting, law, marketing & communications, etc. If you are looking for a job where your everyday work makes a difference, join their team today. Find an online application at the link below. As a pharmacist, you will have the opportunity to provide customers the services they need while doing what you love. If you are a qualified pharmacist with great communication skills, time management skills, and are capable of selecting and training new team members, you should fill out a Pathmark application today! To work in a management position, you should be an ambitious leader with a desire to always move up in the company. A college degree and retail experience are valuable but not required. Employees in management positions enjoy great benefits and an excellent salary. Located in Montvale, New Jersey, their corporate office offers jobs in exciting fields such as human resources, merchandising, real estate development, information technology, and much more. If you are a professional individual looking for a fulfilling career, find a Pathmark job application online at the link below. To have success with a job at this company, you should be professional, outgoing, friendly, and be committed to providing excellence everyday. With job opportunities at both the advanced and entry level, job requirements will directly depend on the position for which you apply. To find out more on openings and requirements, go directly to their website career page. Why do you want to work for Pathmark? Are you interested in advancing in the company? Show up early. Get to your interview 5-10 minutes before the time scheduled. This will demonstrate your punctuality. Discuss your relevant background experience and education. This is a good way to highlight the value that you will bring to the business. Act confident but not overconfident. The interview is a great way to demonstrate why you deserve the position, but do so without acting too arrogant. Answer questions using full sentences and try to include a relevant anecdote. This will make your interview more personable as well as memorable. Demonstrate your communication skills in the interview. Customer service demands great communication skills; so do not let nervousness at this stage affect your chances. Maintain eye contact throughout and smile. At the end of the interview, be sure to thank your interviewer for their time and tell them that you are looking forward to hearing back. Lastly, if you have not heard from HR within a few days, follow-up by telephone or email in order to see what your chances are of being hired. In order to complete your application in the most timely and efficient manner, consider the following tips on how to apply for jobs at Pathmark. It may also be helpful to go to the store you have applied for and speak with the manager. In order to start the application process you will have to create a user account. Applying is straight forward, but first you must sign up to access the application form online. Once you have signed up, you will have access to the online application through a direct application. You may save as you work and log in to continue the process at a later time; you can also find a printable application for Pathmark at the link below. Apply for a job that meets your interest and your experience. Start by reading the job description of the available positions. If you do not have the background to apply for a pharmacist job, but have experience in management, try applying for a management position in one of their store locations. Proofread and edit your CV/Resume before submitting it. Make sure there are no errors in content or information. Make sure you have all relevant work experience as well as your educational background on your resume to insure that you get the best possible chance for the position for which you are applying. Write an outstanding cover letter in order to further demonstrate what you will bring to the team. Proofread your cover letter and have a friend or family member read it through after you have done an initial edit. Writing the perfect cover letter is also a way to make your application stand out from the rest; while a well written cover letter will show off your writing skills. Always act professionally when communicating with human resources. Responding quickly to questions or concerns will not only show your professionalism but also your eagerness to work with them. 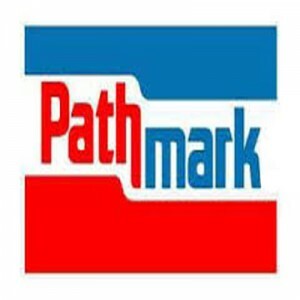 Apply for Pathmark jobs at the link below. There you will find a short form to create your account and move forward with the application form. HR will examine all applications before the candidate is contacted with further instructions. If you like working with people and making a difference with the work you do, employment with Pathmark may be the perfect fit for you. If there are no locations in your area, check out Price Smart or Food Lion, two of their top competitors. Pick ‘n Save Grocery: Checkout the application page for work at Pick ‘n Save Grocery. Albertsons: See our resource page for more information on Albertsons careers. ACME Markets: For employment at ACME Markets visit the application page. Whole Foods: See this page for jobs at Whole Foods. Cub Foods: See our resource page for more information on Cub Foods careers.